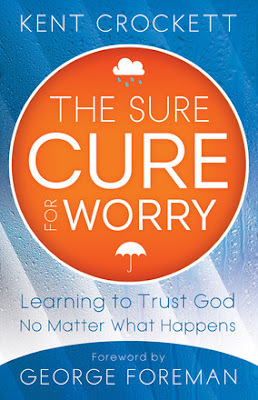 The Sure Cure for Worry: Learning to Trust God no Matter What Happens is a 2013 book by Kent Crockett. Here, Crockett lays out Christian perspectives on trusting God and escaping worry and fear. Worry, Crockett states, is the opposite of trust; thus, by learning to trust God and deciding to follow him, the Christian can be free from worry and fear. Crockett uses a great deal of scripture to support his thesis, which is biblically very solid, and includes many encouraging anecdotes. Crockett is charismatic in ways that will make non-charismatics raise an eyebrow here and there. For example, he states that a lack of peace about a decision indicates either that it is God’s will (with wrong timing or insufficient information) or that it is not God’s will (p. 145). Obviously, this tautology is not particularly helpful on the face of it. The problem is not that Crockett is wrong, necessarily, but that he likes to break down the workings of God and the Christian life into logical, step-by-step, A-or-B structures, which can feel forced and presumptuous. To offset this, a greater emphasis on individual prayer and discernment (which are in there, to be sure) would have been nice. Crockett’s writing is a little over-the-top sometimes. His “indisputable proof” for God isn’t quite, although it is very good and well-presented. He also belabors some points that will likely seem rather obvious to all but the most entry-level of Christians (the sections on God’s IQ and counselors, for example). Some readers may thusly skim certain sections, but that’s all right. While non-charismatics may find aspects of The Sure Cure for Worry off-putting, Crockett is right on in terms of the foundational biblical principles on worry and trust, and many people struggling with worry or fear should find this book encouraging and helpful.